OPEN TO ALL! 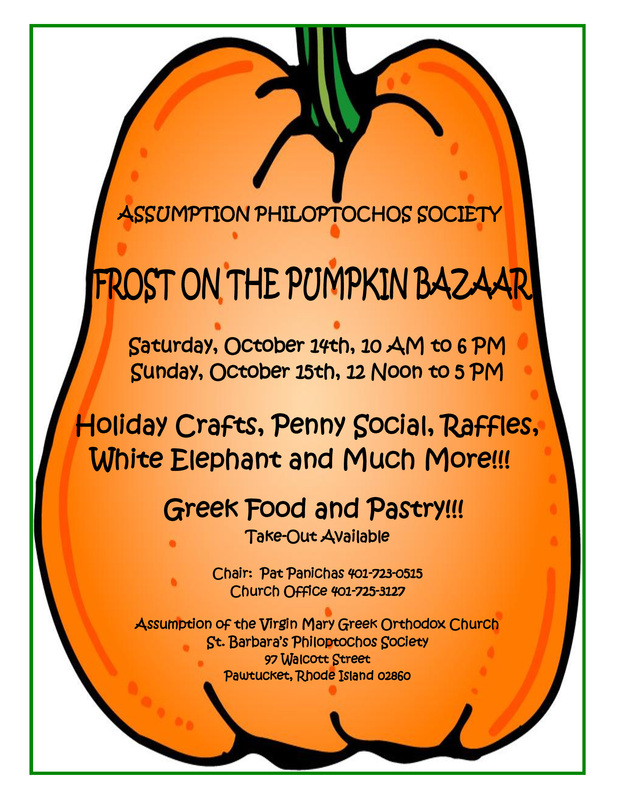 Stop by at our annual bazaar for some home made Greek food (eat in or take out), tremendous homemade Greek pastry, crafts, raffles, and more! October 14th (10a-6p) and 15th (12p-5p) in our Community Center, 97 Walcott Street, Pawtucket RI 02860!